SUNNYVALE, CA, September 1, 2017 – Apostle Inc is pleased to announce the appointment of Dean W. Felsher, MD, PhD as a new member to its Scientific Advisory Board. Dr. Felsher is Professor of Medicine in Departments of Oncology and Pathology at Stanford University School of Medicine. He is Director of Stanford Translational Research and Applied Medicine (TRAM) as well as Director of Oncology Research, Division of Oncology at Stanford. Additionally, Dr. Felsher co-directs the Stanford Cancer Nanotechnology Training Program and is Associate Director and Director of Admissions of the Medical Scientist Training Program (MSTP) at Stanford. 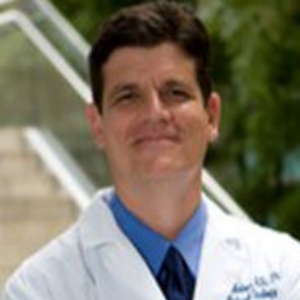 Dr. Felsher received his MD and PhD degrees from UCLA in 1992, and BS in Chemistry from University of Chicago. Dr. Felsher is Elected Member of Association of American Physicians (2011) and Elected Member of American Society of Clinical Investigation (2005). He was the recipient of Translational Research Award from Burroughs Wellcome Trust (2005-2011), the Charles Carrington Prize from Stanford University (2002), and the Esther Ethrman Faculty Scholar Award from Stanford University (2000-2003). At Stanford, Dr. Felsher’s lab investigates how oncogenes initiate and sustain tumorigenesis. Apostle Inc is a biotechnology company in Sunnyvale, CA. It’s in the business of the research, development, licensing, and sales of novel technologies, and the related intellectual properties, products, and services for diagnosis and treatment of human diseases, to fundamentally improve the accuracy and efficiency of liquid biopsy - the testing of circulating free DNA (cfDNA) - in early cancer detection or other clinical applications such as noninvasive prenatal testing (NIPT). • Hybrid - Apostle AID is a combination of MiniMax and Triton AI. More information can be found at www.apostlebio.com. ® 2017-2019. Apostle, Inc. Silicon Valley, California. All rights reserved.